Open 11am-2:30, 3-11pm (LO) daily. The ubiquitous Belgian beer chain offers Antwerp's De Koninck and a few other Belgians on draught, and over seventy beers by the bottle, served with proper glassware. The food menu features beer-marinated roast chicken among other beer-friendly snacks. 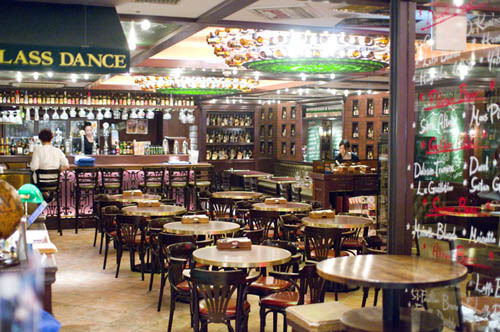 Prices are around average for Belgian beer bars in Japan. Nishi-ku, Yokohama, Minami-Saiwai 1-3-1, More's 9F.